Although I am not a make up enthusiast (anyone who ever met me on the street can confirm this), mainly due to laziness and lack of skills, I am a hugeee fan of everything that has any connection to preparative cosmetics, starting with shower gels, creams, scrubs, serums, fluids etc. 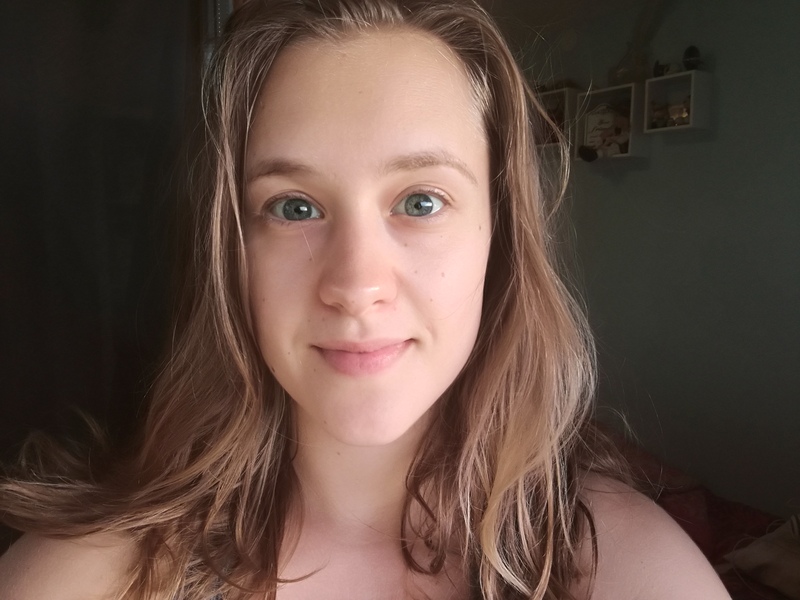 And since recently more and more people started asking me for advice, regarding hair and skin care, I decided to write a beauty post every now and then: mostly reviews of the products I used. I’d like to emphasize that I am no expert and these posts are only my views of certain products (for which I am not sponsored by anyone) and experience with beauty care. I’m trying to stay as informed as possible and I prefer natural products although from time to time I reach for something more chemical. But not only do I take care of what goes on my skin, I take care of what goes in me and I consider that the number one rule of clean skin and shiny hair. Without a good nutrition and hydration you can’t reach the results you’d like. Skin is the reflection of what goes on inside the body. You need to thoroughly examine your skin type. For years I thought that my skin was dry, when in fact it was dehydrated. What does that mean? It means that I’ve been using all the wrong product for God know how long and was wondering how come I don’t get the results I want. So, explore and have fun with your skin, is it dry, sensitive, dehydrated, greasy, mixed, extra sensitive, what makes it go bananas…? After that you’ll find what you need with more ease. 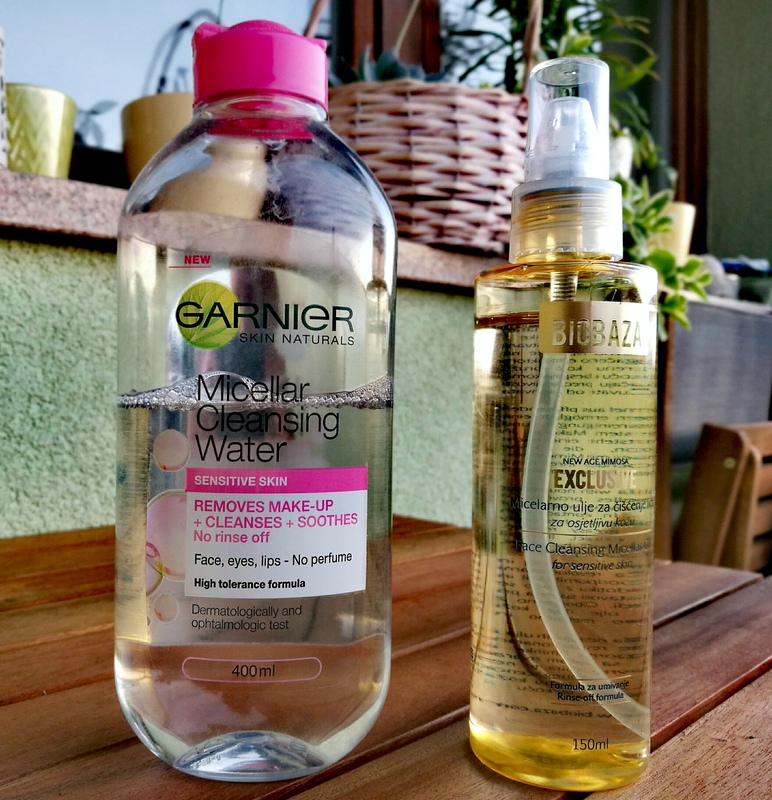 Therefor I am showing you a review of two products: Garnier Micellar Cleansing Water i Biobaza micelar oil for sensitive skin. 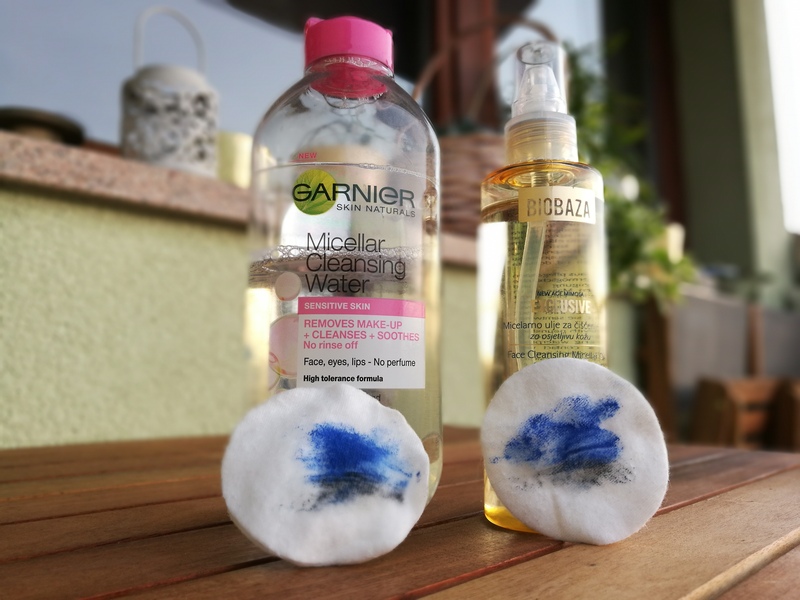 So it’s a micelar water and micelar oil which I reviewed like this: how my skin reacts, how my eyes react and how much make up do they remove with one swipe. And of course, price – quality ratio. 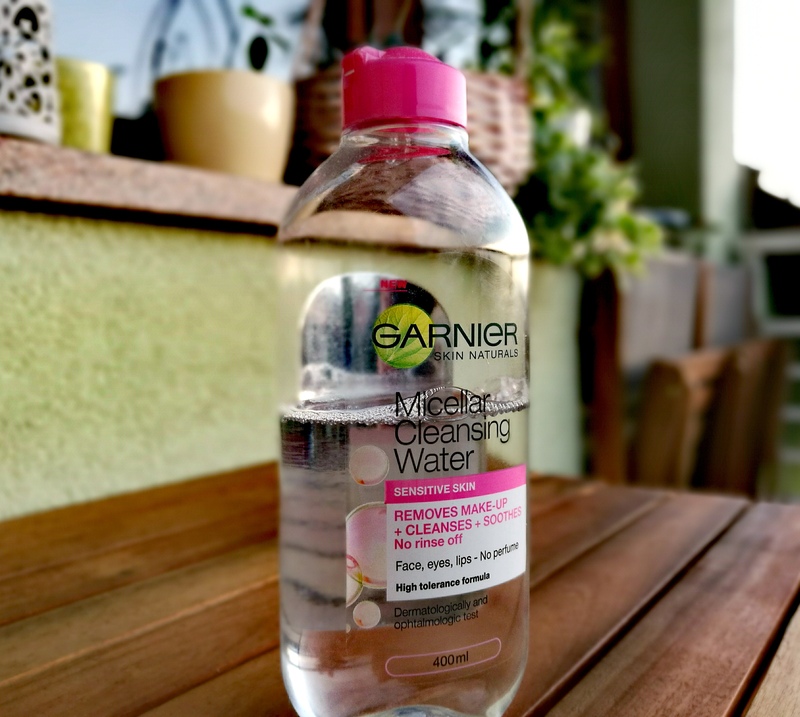 Garnier’s micelar water I had for a while. I gotta admit I was skeptic about it since I don’t have nice memories regarding Garnier in general, but I decided to give it a benefit of a doubt. The label says: perfume free dermatological and ophthalmology tested. Let’s check out the ingredients. Solid, nothing that irritates my skin. Does it do the job? Yes, pretty successful I gotta say, without causing any burning sensation around my eyes. But if I don’t rinse my face with water afterwards I feel slight skin tension, although it says NO RINSE OFF. Yeah, right. Nice. Cleanses the face nicely, no skin tension and a nice silky skin. BUT, with the slightest of eye contact it burns like a mothaf*** and makes your vision blurry. And it gets into your eyes really easy. Houston we have a problem. Now my experiment, one swipe make up removal. Cleaned the eye shadow, mascara is practically intact. The eye is functional. Cleaned the mascara, not so much the eye shadow. I am literally crying. The results are nor here nor there, neither of the products manages to clean the make up with one swipe. I was also blinded. 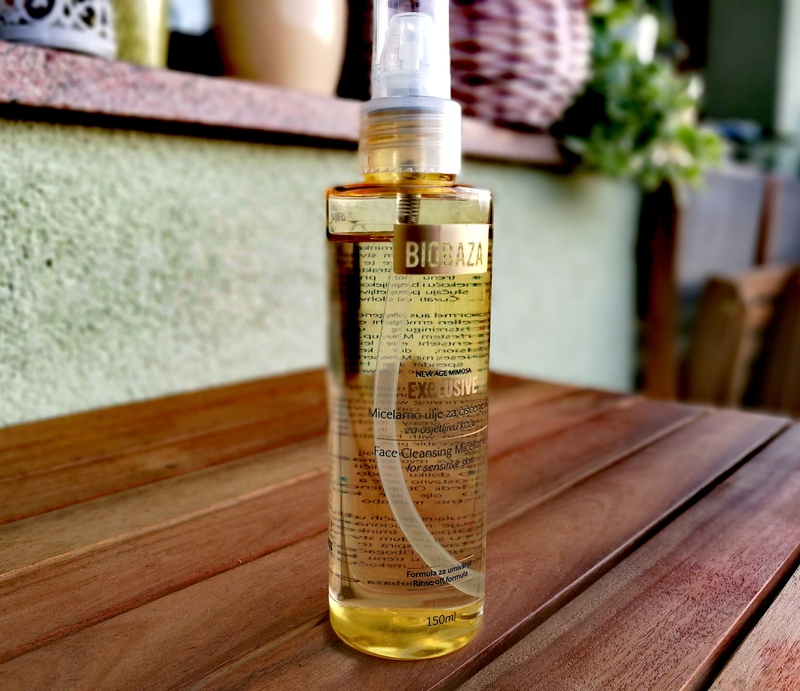 All in all: I would decide for Biobaza (although it blinded me) due to better ingredients and because of how my skin feels after using it. Just hold your eyes shut during cleaning ritual and you should be fine. Maybe I’m just a moron, take that into account aswell. Here I am, with clean skin, greasy hair and unusually large eyes.